Nail vs Glue vs Float - Which Installation Method is Best? Home › Flooring › Nail vs Glue vs Float a Bamboo Floor: Which is Best? 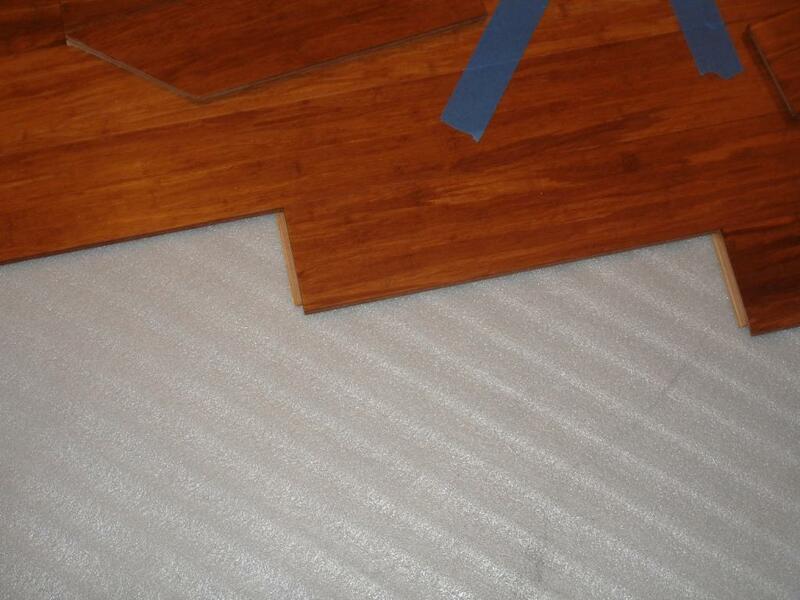 Nail vs Glue vs Float a Bamboo Floor: Which is Best? Since bamboo flooring is growing so rapidly in popularity, we thought it would be a good idea to let you know that there’s more than one way to install it in your home. 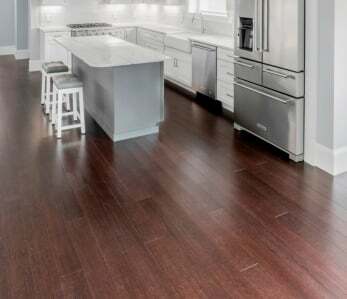 Just as there are different ways to cook a good steak — broiling, pan-frying or grilling — there are also different ways to install a beautiful bamboo floor, and as with our steak-cooking example, each has its advantages and disadvantages. 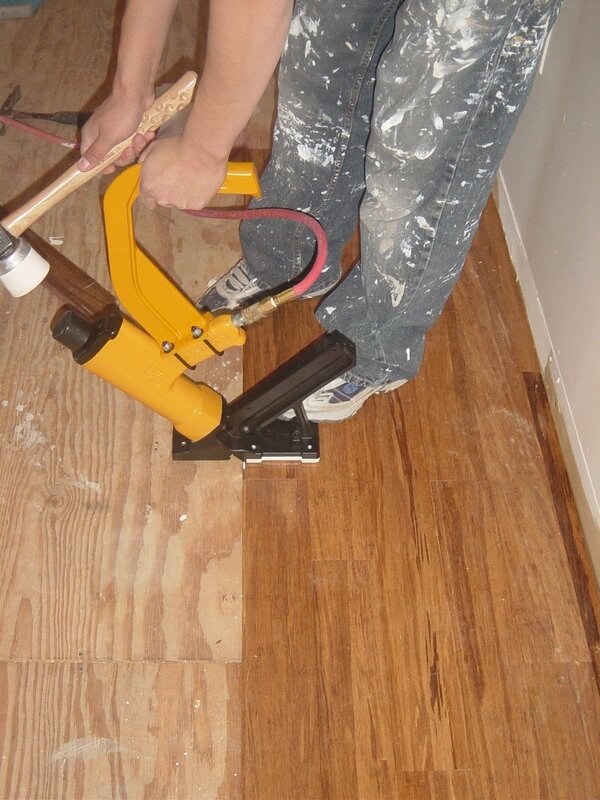 This is the most common method of installing hardwood/ and it’s also the cheapest and fastest installation type. 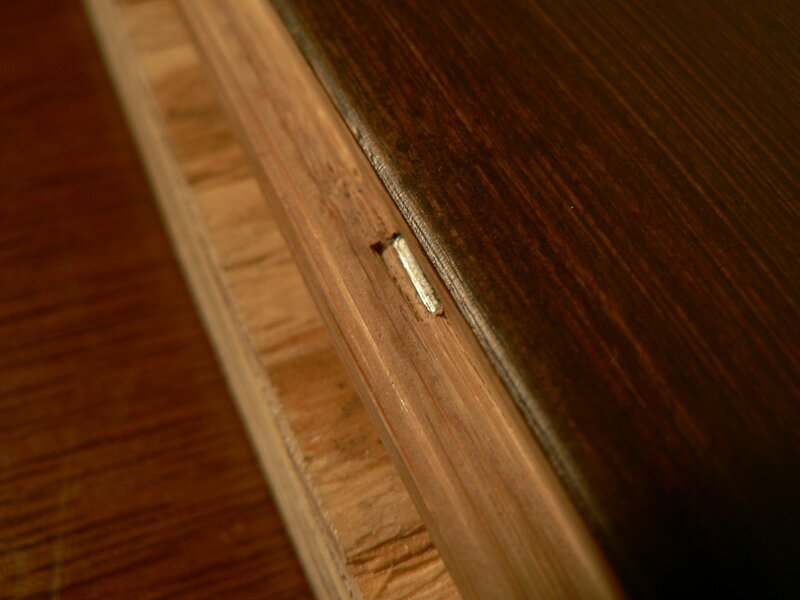 Approximately 70% of tongue and groove floors are nailed down using the “blind nailing” nail down method which hides the nail holes. While this method is economical, one potential downside is that the nails can loosen due to seasonal expansion and contraction over the years which can result in a squeaky floor. Due to it’s hardness, strand woven bamboo requires that you use 18 gauge cleats and a high quality pneumatic nailer such as the . This is an important detail because using the wrong cleat thickness could or “goosebumps” in the floor. Before installation you’ll need to purchase an underlayment such as 15 lb. felt paper or red rosin paper. These underlayments help reduce wood-on-wood squeaking. Note that 15 lb felt paper and red rosin paper are NOT vapor barriers. If you need a vapor barrier, you’re going to have to use the glue-down method (more on that below)! While a glue-down installation is the most expensive and labor-intensive of the three options, it’s also considered the most stable method of installation. That’s because of the elastic quality of glue, which allows the floor to expand and contract naturally with the seasons. If you purchase a high quality adhesive you’ll get the added benefits of sound and moisture insulation, especially if you use an . 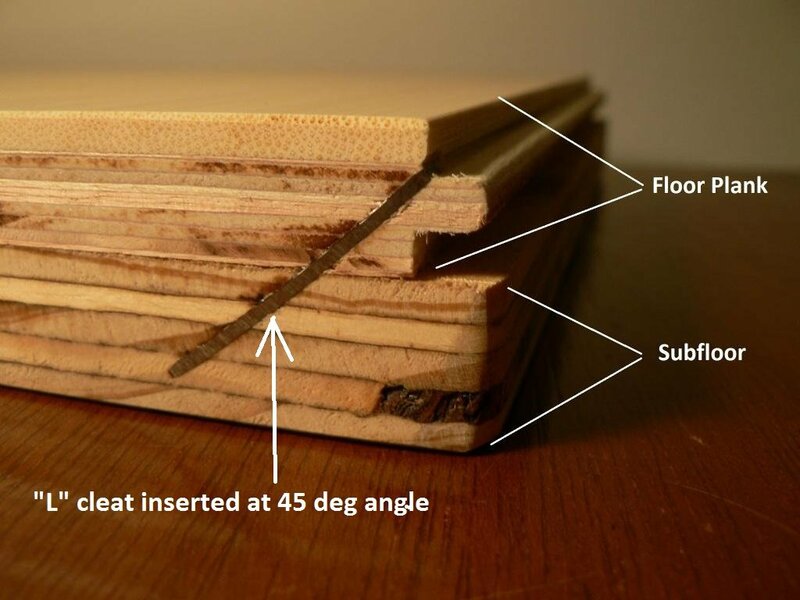 Depending on the type of sub floor you have you may be able to use a cheaper wood flooring glue, for example if your sub-floor is plywood. However if you’re or a crawl space you’ll be required to use the all-in-one glue that contains a vapor barrier, to seal the concrete. Ensure that the adhesive you purchase has an upper moisture limit of at least 10 lbs and always moisture test the concrete first to ensure you don’t have an excessively wet slab. Just as it’s important to use the right nails and nail gun for the nail-down method of installation, it’s also very important to use the correct trowel in tandem with the correct glue. Why is this important? Use the wrong size trowel and you won’t get the correct spread rate — which ! Don’t forget to clean up spilled glue before it dries on your flooring planks to avoid damaging your finish! How To Glue Down A Bamboo Floor from Ambient Bamboo on Vimeo. The main advantage to a “click-lock” floating floor is ease of installation and a shorter installation time in general. A floating floor is also easier to repair in the event of a leak or another problem that causes damage to a section of the floor. 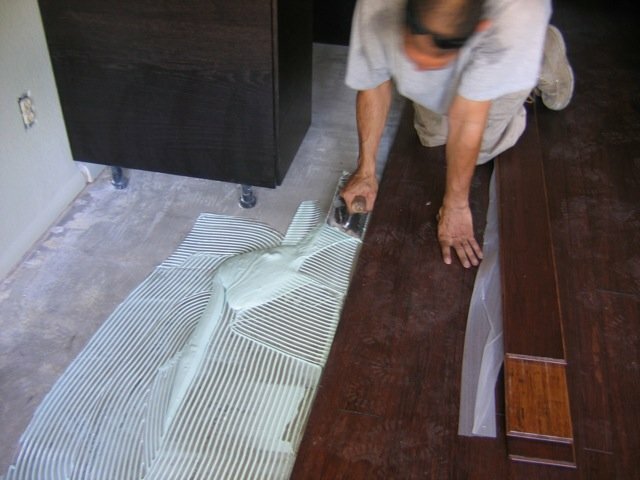 Besides the “click-lock” type, a tongue and groove floor can also be floated, but they’re more time-consuming because you have to manually apply a bead of glue along the inside bottom groove along the entire length of each plank as you go. CAVEAT! If you live in a geographical area with stable humidity, or you have an HVAC modulator that will keep your interior humidity within the 40%-60% range all year, you do not have to follow these run limits. For an engineered floating floor you’re limited to runs of 25 feet wide and 45 feet long. For a solid (wood all the way through) floating floor you’re limited to runs of 15 feet wide and 25 feet long. For a floating installation, you should use a for best results. Eco-friendly bamboo flooring is rapidly becoming the choice of those who love the look of a wood floor, but don’t like the fact that they’re using wood from trees that take decades to replenish. not only rivals the look of hardwood, it’s also a more sustainable, earth-friendly option since bamboo is a rapidly growing grass that is easy to replenish. But that’s not the only reason for bamboo flooring’s growing popularity. Its strand-woven manufacturing process also makes it rock-hard and durable, a definite plus in an active family home! That means it will need refinishing far less — if ever! — than a typical hardwood floor will. Bamboo floors are also available in many stylish up-to-the minute finishes and colors, so what’s not to like?!! 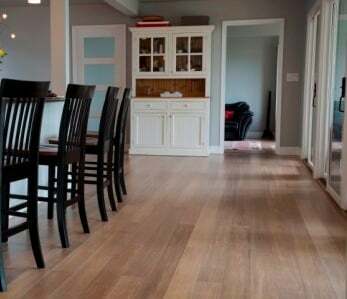 If one of the things that appeals to you about bamboo flooring is its eco-friendly qualities, you’ll be thrilled with an Ambient bamboo floor, because Ambient takes sustainability and non-toxicity to a whole new level with its flooring, glues and finishes. Ambient is FloorScore® Certified, which means you don’t have to worry about dangerous off-gassing or toxic chemicals. FloorScore® is recognized by more than 19 leading environmental programs and the FloorScore® seal is your guarantee that a product has been independently tested and scored by SCS Global Services. Plus, all of our adhesives are zero-voc, and our finishes are either ultra low or zero-voc as well, so your indoor air quality won’t be compromised when you install an Ambient bamboo floor! All Ambient floors are Lacey Act Compliant, which is your assurance that they’re legally sourced with minimal damage to the environment. 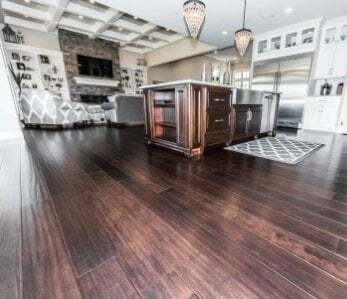 Add in the one-stop shopping ease of Ambient, our great prices, great reviews (Angie’s List, Better Business Bureau A+ rating, Best of Houzz, and more), and you’ve found the best place in the world to buy your bamboo flooring! 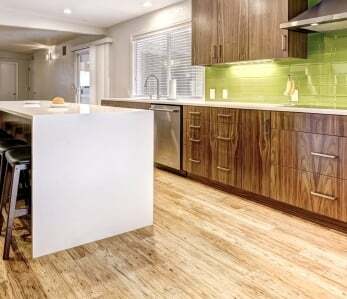 ‹ Does Bamboo Flooring Contain Formaldehyde or Other Harmful Chemicals? For nail down installations we recommend that you use either (asphalt saturated roofing paper, essentially) or red rosin paper, however please note that those underlayments are not considered vapor barriers! For floating installations you can use a , which provides a vapor barrier, sound muffling, and makes up for small imperfections in the sub-floor. For the 3 in 1 underlayment, the higher the STC/IIC sound rating, the more quiet the floor will be when you walk on it. Good luck with your installation and let us know if you have more questions! Can I re-glue new flooring to previously used subfloor? I took up glued parquet and hope to glue new engineered-hardwood-on-ply in its place. Hi Justin! In this case we recommend you contact the manufacturer of your adhesive to ensure it will bond to the type of sub-floor you have. With many glues, as long as the sub-floor is clear and free of debris, it will work, but you’ll want to reach out to the manufacturer to confirm. For some surfaces such as tile or existing hardwoods you may have to buff off existing finishes and scuff the surface first, to enable the new glue to bond. Remember to also ensure that your sub-floor is level, that’s important! Good luck! Hi David! 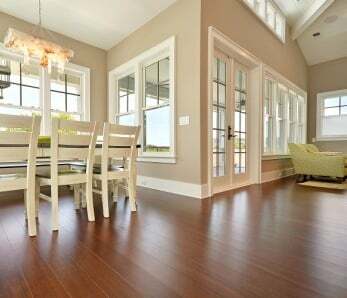 We recommend that you reach out to your bamboo flooring manufacturer with this specific question. Are you sure the and not the sub-floor? Most floor noise is the result of loose nails and/or shifting joints in the sub-floor, or a result of dips in the sub-floor (this is one reason why most installation guides require that the sub-floors be level prior to installation). Most quality bamboo hardwoods will not squeak when you walk on them, so if your floors are making noise it may be a product defect and we definitely recommend reaching out to the customer service department of the brand you purchased. Hope this helps and have a great day!